Parking Instructions at 3355 Granite: There is visitor parking in the adjacent garage. You can park in any unoccupied spot marked as Visitor. There is visitor parking immediately to your right when you enter the garage. If this section is full, re-enter the parking garage and pull a ticket at the security gate and proceed to the upper levels of the garage where you can feel free to park in any non-reserved spaces. There is no fee to park in this building. You can find ample parking on the 5th and 6th levels of the garage. Call 281-384-5650 if you have any issues. Want to be a CCRO guest? This meeting will be for CCRO members and their invited guests. However, we encourage guests that are interested in the CCRO and in this meeting in-particular to step forward. Contact Bob at info@ccro.org if you would like to request an invitation to join us. On November 5th, the CFTC published its decision regarding changes to De Minimis Exception to the Swap Dealer Definition, 83 Fed. Reg. 27444. What has changed? What are the implications of this new ruling to member companies? The analysis and documentation of our 2017 industry survey of risk management practices is in the process of being published. We would like to discuss how and where the document(s) are available to members and how we are planning to make them available to the wider public. A Full Draft of Section 3: "Creation of Retail Risks"
After reaching an ideal overall structure for this comprehensive paper, and completing fifteen webinars with interested CCRO members, the retail risk management group “Phase One” team has developed section 3 into a near-complete draft. The comprehensive Section 3 document addresses the "Creation of Retail Risks", for power and gas retailers. It also provides for an organized taxonomy of all risk types and discussion of them. We will take a close look at this robust draft as well as discuss new developments in the project plans and team. This new CCRO group is forming quickly, by first establishing the leadership group of credit-practitioner members. In addition, we want to invite the appropriate credit solution providers as CCRO advocate members to provide expertise and resources needed to tackle research and carry-out case-example credit analyses for the paper. The wider team of credit professionals participating as editors is expected to incorporate a wide cross-section of industry and specialties. CCRO welcomes the International Energy Credit Association (IECA) to this initiative. Many members have indicated they do internally measure and report their own KRIs. They also indicated that the value of these measures is limited because they can only be inward-looking, measuring only their own numbers and trends. However, benchmarking to industry peers would dramatically increase the value of KRI measures by bringing a sense of what numbers and trends may be "best" or "worst" in-class KRI results. With external KRI benchmarking, a CRO's reports can make a much more compelling case for internal change initiatives. For Discussion at this meeting: Our CCRO Member-driven Solution. Taking constructive action towards solving this situation, the CCRO's KRI working group is striving to create an entirely new database of anonymous industry KRI benchmarking statistics, particularly in the area of operative risks. Proof of concept of this database and an associated cloud-based reporting tool has already begun. At this meeting, the group's leadership team will be hosting discussions about the latest developments in this initiative and reaching-out for more participant companies. By joining as a participant in this group the KRI benchmarks become more robust overall, and your company will gain access to the results data through the cloud-based viewer. Current status: participants, access to viewer, clarifying data being submitted, periodicity of data, etc. Extension: A New KRI for Cyber Risk? 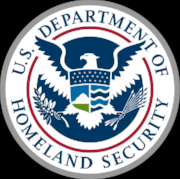 This summer, the Department of Homeland Security formed the National Risk Management Center (NRMC) to provide a home for collaborative, sector-specific and cross-sector risk management efforts to better protect critical infrastructure. The NRMC plays a supporting role to help with dynamic prioritization, providing a national and regional strategic understanding of what is truly critical in the path of an incident, as well as serving as a venue for coordinated operational planning across Sector Specific Agencies and other relevant agencies. A round-up of key issues that CFTC will be addressing in 2019.
Review of why these are particularly relevant for CROs. We are excited to be proposing a very important initiative addressing the broad subject of trade area monitoring as part of managing operational risks. Today’s discussion will focus on risks of non-compliance with complex CFTC regulations concerning trading tactics. These regulations cover exchange trades AND all swaps, companies with trading activity of any size, and retailers as well as their credit providers…this area is for virtually all CCRO member companies. Light lunch served and resume discussions during lunch. The Practical Side; What Can Energy Companies Do About This? Are there steps that companies can take to reduce the chances that the company will be subject to penalties in the event of a compliance failure in this area? Could the CCRO Company Members and Advocates work together to publish such best practices? What data to monitor - How to acquire it? Analyze it? Report on it? How can trade area monitoring be carried-out internally? What tools are available, with what focuses? How might each CCRO member think about appropriate technology deployment? Thank you to all our members & guests that participated!